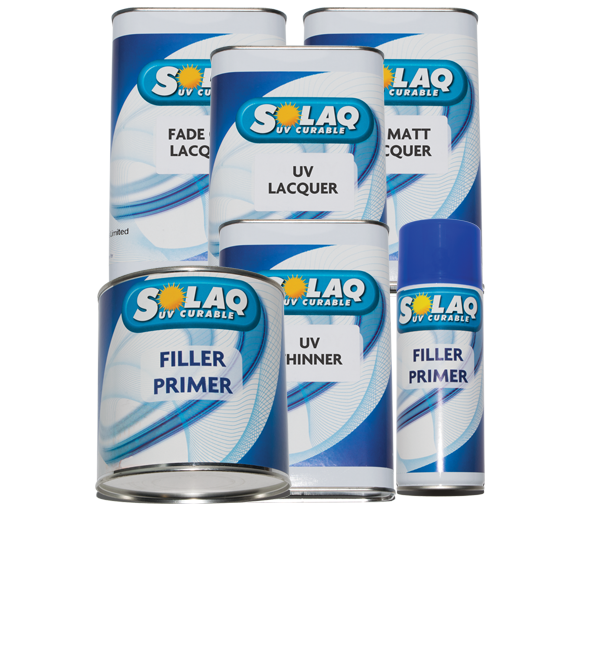 Solaq UV lacquers and primers are cured using UVA (Ultra Violet) technology i.e. an Ultra Violet Lamp. The Solaq UV lacquer can be used over water based and solvent based paints and is cured in approximately 3 to 4 minutes. Once cured it can be immediately polished by hand or machine. The cured clear coat is resistant to solvents such as wheel acids and can be power washed immediately after drying. If for any reason Solaq has to be recoated with base coat (i.e. due to a colour match problem) this also can also be done immediately. Fully cured in 3-4 minutes using UV lamp, VOC compliant, single pack UV lacquer, Non-isocyanate, Fully tested and ISO 11341:2004 certified, Dries easily in damp or cold conditions.